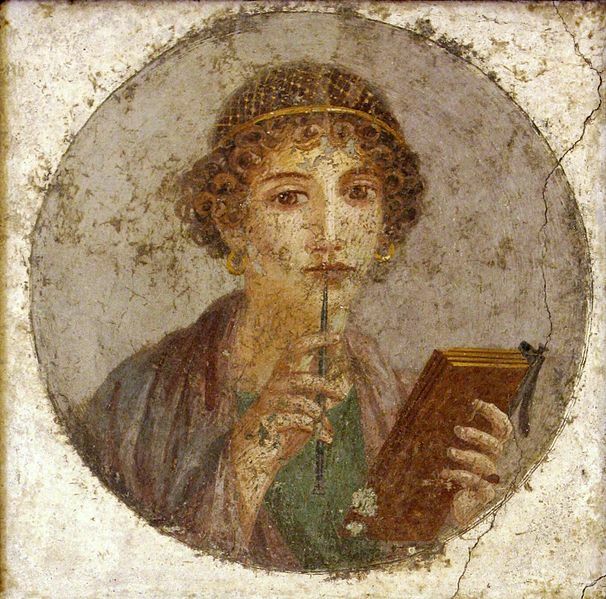 Were the ancient Stoics feminist? Should the modern ones be? The short answers to the title questions are: not really, and of course yes. At least, that’s the conclusion of a detailed analysis of the relationship between Stoicism and feminism published in a paper by Scott Aikin and Emily McGill-Rutherford in Symposion, 1, 1 (2014): 9-22. And I think they are right. The basic thesis put forth by Aikin and McGill-Rutherford is that ancient Stoics had an uneven track record when it came to women, with some positions that can readily be understood as proto-feminist, and others not so much. But the authors also separate the philosophy from the specific times and people that practiced it in ancient Greece and Rome — just as we sensibly do for other philosophical and religious traditions. So they ask whether Stoicism as a philosophy has the tools that are required in order to endorse a full fledged feminism in modern times. And their answer is definitely yes. I think this is a very important paper, and deserves to be more widely read, for two reasons: (i) it reminds us modern Stoics that the ancients are, as Seneca famously put it, our guides, not our masters; and (ii) it significantly helps the ongoing project of updating Stoicism for the 21st century, which has been carried out most exemplarily by Larry Becker. The first task Aikin and McGill-Rutherford set themselves is to show the existence of two strands of ancient Stoic thought, when it comes to women’s issue: a progressive one, and a “misogynist” one. I put the latter term in quotation marks because from now on I will use “sexist” instead, which I think is more appropriate. Misogyny refers to the hatred of women, which I don’t think is a label that can be fairly applied to the Stoics; sexism, by contrast, is precisely what you get from the readings of Seneca, Epictetus, and others. Here we have a condemnation of the objectification of women (the progressive element), but also a call for women to be decent, modest and engage in discrete behavior (the sexist element). Aikin and McGill-Rutherford find it a “mystery” that the Stoics only addressed an audience of men, but that’s one of the least convincing of their points, in my opinion. At the time that was, unfortunately, the standard attitude, though of course the Stoics can be faulted for not going against the general approach. More convincingly, they point out that both Cicero (not a Stoic!) and Seneca consistently use feminine adjectives to denote moral failings, and masculine ones to denote virtuous behaviors. Moreover, Epictetus dismisses Epicureanism as a philosophy not befitting even women. The major issue that Aikin and McGill-Rutherford identify with ancient Stoicism treatment of women is what they refer to as the “social standing problem.” Several Stoics were explicit in acknowledging the importance of circumstances to help us practice virtue: Seneca, for instance, says that we should avoid being hungry or tired, since that helps controlling our anger (De Ira III.9.5), and most famously the entire first book of Marcus’ Meditations is a long list of thanks to people who have taught him how to be virtuous. The idea, then, is that since women were generally not afforded the kind of social status that people like Seneca and Marcus had by default, the Stoics failed to recognize that there was a built-in disadvantage for women when it came to practicing virtue. This is an important and fair point, but it is mitigated by a couple of observations, I think. First, that the Stoics also insisted that it is possible to be virtuous even under extreme circumstances, for instance in the case of a slave, like Epictetus himself. Second, there were a lot of men who not only did not enjoy the social status of Seneca or Marcus, but who also had a significantly lower social status than patrician women, several of whom, during the empire, managed to reach financial independence, control over their inheritance, and a degree of education. Still, these caveats aside, Aikin and McGill-Rutherford’s main point holds. We now come to the positive part of the paper, where the authors begin to construct an argument that Stoicism qua philosophy does have the tools to call for a modern progressive feminism. Both elements of naturalism are present in Stoic philosophy, which is the reason why still today if people emphasize thin naturalism they end up talking about “stoicism” rather than “Stoicism.” Now consider again oikeiosis: if the process is an example of thin naturalism, then we don’t have reason to invoke social reform or a change of the status quo. But if we take it to be stemming from a thick naturalistic conception, now we have the philosophical tools to invoke social change. Why, then, can we not consider them full fledged feminists? Because they failed to follow through the logical implications of their own philosophy, limited — as we all are — by their own culture and time. Aikin and McGill-Rutherford point out something that even a number of modern Stoic practitioners too often forget. They rightly claim that we have duties to each other qua rational creatures, and that these duties include the respect of each other’s choices. Externals are indifferent, of course, to our own practice of virtue, but that does not license inaction in the face of injustice. Justice — let us never forget — is one of the four cardinal virtues! There is a difference, they maintain, between recognizing that we are not actually truly harmed (according to Stoic philosophy) by being treated unjustly (because our virtue remains intact) and being complicit in the unequal treatment of anyone. Including, obviously, women. The upshot is that Stoicism qua philosophical framework, independently of the specific ways it was instantiated in Greco-Roman times, does have the resources to welcome women (and any other group) in its fold, and — more importantly — to call for social change. The intrinsic respect that Stoicism accords to the human capacity for reason (Epictetus’ prohairesis) is the very same respect for human choice that is at the core of feminism. Post scriptum: It occurred to me that precisely the same argument made by Aikin and McGill-Rutherford about the difference between what the ancient Stoics wrote and what is logically entailed by Stoic philosophy applies to social justice as well. This entry was posted in Modern Stoicism, Social living on June 29, 2018 by Massimo. Very important to stress the compatibility of stoicism with feminism. Thanks! the argument is even stronger: Stoicism is not just compatible with femminism, it logically entails it. Which means modern Stoics ought to be feminists. Great article Massimo. I appreciate the detail you went into on the nuances of various Stoic authors vis a vis the roles women could, should, or shouldn’t play in society. Distinguishing misogyny and sexism was also a wise move, I do often find the words used all too interchangeably. Now, when you call Hierocles ‘conservative’ do you mean in the modern American political sense? Or in the more general philosophical sense of someone interested in maintaining traditions qua traditions? I meant “conservative” by the standards of the time, not the modern one. By modern standards, all ancient Stoics were conservative. Compare Hierocles to Musonius, or better yet Zeno, and the latter especilly sounds down right radical. well, as I say in the post, the Stoics, including Epictetus, did include women. But only in a partial way, not what we would consider full fledged feminism. They were in many ways ahead of their time, but the important point is that Stoic principles actually entail feminism. I like your use of nuance. However, while I agree that Stoicism should mean support for gender equality, I disagree that a Stoic must be a feminist. Certainly I’m not about to tell my fellows Stoic what other labels they must choose. Their choices don’t belong to me, and my choices are not theirs. Feminism is pro-women’s equality but not necessarily pro-gender equality (and this is a key distinction IMO). The recent WaPo op-ed “why can’t we hate men?” is an example. Misogyny and misandry are equally wrong because hate is wrong as a matter of principle, not identity group. To accept hate toward a certain group implies inferior human dignity for those folks, which is incompatible with equality. Further, feminism is a movement of women for women (as it should be). But unless a male feminist takes his talking points from women then he’s mansplaining women’s issues to women. But that inhibits his ability to authentically talk about gender issues from his perspective, or even to criticize feminism as in the case above. Finally, I don’t accept the dogmatic “look in the dictionary” argument, which has the effect of cutting off rational discussion. as you say, hate is not a Stoic value, so whichever group or person engages in it, it ain’t Stoic. But feminism understood exactly as described in the post — the simple proposition that women are human beings with the same exact rights as men (or any other gender) — is most definitely a thing that both men and women ought to accept, and Stoics in particular. Of course other people’s opinions and labels are up to them, but it would be unconscionable of me as a student and practitioner of Stoicism not to point out what I wrote in the post. It really ought to be just as uncontroversial as the Stoic notion that we are all members of the human cosmopolis, or that anger is not a constructive emotion. One may reject such notions, but then one would be distancing himself from Stoicism. Not sure what you have against dictionaries. They are a perfectly vali reference point for both the history of terms and their current usage. The principal of equality yes, but there’s no contradiction in believing in equality but not being a feminist—a label which I find problematic for the reasons I pointed out. My issue with the dictionary is that I think what people do defines their beliefs, not what they say they believe. again, there are different conceptions of feminism, but the most broad and common is the one I gave in the post. And under that definition, a Stoic ought to be a feminist in order to be philosophically consistent. I find such a common allergy to that label (almost exclusive by men) to be very troubling. People may define their beliefs, but as Wittgenstein famously argued, there is no such thing as a private language. Hence the utility of dictionaries. Note that I haven’t said the dictionary definition is wrong, just that there are problems with feminism that the dictionary can’t capture. Besides, feminism isn’t the only way to approach gender equality. of course a dictionary definition is limited. That’s why I used it as a minimal starting point. But when you say that there are problems with “feminism” you insist in using the term as if it indicated a single thing, which is clearly not the case. Do you think Stoics should have a prolem with the minimal, broad, definition, I gave?